Modern alarm system do a lot more than ringing an annoying bell. If a burglar attempts to break into your premise, you’ll get instant alerts to your home computer or smart phone. Your local police will receive an alert as well. For more information about Burglar alarms system contact Great Lakes Security Hardware. https://greatlakessecurityhardware.com/wp-content/uploads/2019/04/Burglar-Alarms-to-Protect-Your-Home-nz2pleoo0dht732vrdd388yz7k5chmsvnz1ltiapqo.jpg 456 1140 Denise Farley https://greatlakessecurityhardware.com/wp-content/uploads/2015/06/Security-and-hardware-solutions.png Denise Farley2019-04-24 13:24:402019-04-24 12:26:19Need Burglar Alarms System? Seeking advice from experts such as Great Lakes Security Hardware and planning ahead is the most effective way to deal with business security problems. When it comes to your business security, you should focus on the following three main areas: property security; employee security; and internet security. For more information Contact Great Lake Security Hardware on 888-855-6257. Get to know the local Neighborhood Watch Team. Therefore, you know that someone is always watching over your home when you aren’t in, and that gives you peace of mind. To learn more about the security of your home, call Great Lakes Security Hardware today at (888) 855-6257 or fill out our contact form. Ensure that the woodwork on windows upstairs and downstairs are in excellent condition. Burglars can easily pry open any rotting wood with a screwdriver or crowbar. Great Lakes Security Hardware are on hand to help with your security concerns. Call us today at 888-855-6257 or use our contact form. Great Lakes Security Hardware Roseville provides high quality and affordable Roseville garage lock service. 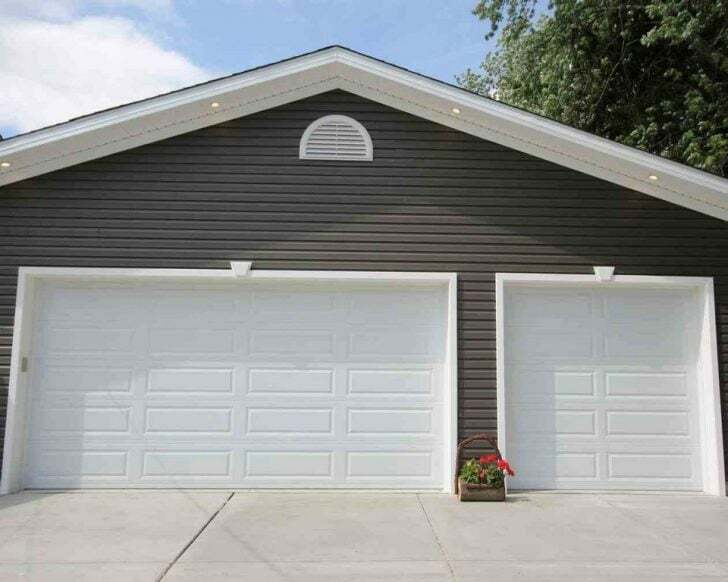 Therefore, whenever you are looking for an experienced and reliable garage door locksmith to repair, replace the garage lock or reprogram the key to your garage lock, do not look elsewhere. We’re the best locksmiths in Roseville that you can count on when it comes to excellent customer service. We’re always humbled to serve our clients whether you’re a paying client or you just called in for a free, no-obligation consultation relating to a garage lock we’ve handled in the past. No one deserves to be served by disrespectful locksmiths. You shouldn’t hire people you cannot trust. More importantly, your garage is a security sensitive area and therefore, you need to ensure only respectful and trusted persons are allowed in. We’ve gained trust and great admiration for the respectful and professional team of locksmiths. You can always look upon Great Lakes Security Hardware for respectful and trustworthy garage lock service Roseville. Would you like to change your garage locks for the latest technology? We’re the best professionals with vast knowledge on the latest cutting-edge garage locks. We have the latest tools and equipment that can handle modern garage locks. Contact us today for professional and reliable garage lock service Roseville. My garage lock has jammed, and I am locked out. What can I do? To begin with, do not attempt to force your lock open. You might cause significant damage to your garage lock leading to additional costs. It is better that you leave it to Great Lakes Security Hardware team to help you. Call us any time through our phone number: (888) 855-6257, and we’ll be there to help you out as quickly as possible. Furthermore, we have an emergency response team ready to help you even late at night. We understand the desperation and frustration that a jammed garage lock causes. I want to change my garage lock, but I do not know how to choose the best lock. Will you help me? Yes, we can help you. You can contact us, and we will help you choose the best garage lock. We have the latest designs so you can always come to us purchase the right lock. We’re always happy to provide high quality, reliable and affordable garage lock service to our esteemed customers. Great Lakes Security Hardware offers high quality and affordable Garage Lock Service Roseville. Feel free to call us today at (888) 855-6257 or use our online contact form. The last thing you want is to have your business closed due to bad locks. Like your other security features and mechanical equipment, you must ensure your commercial doors are maintained properly to prevent avoidable issues early and keep them functioning well. Great Lakes Security Hardware can arrange regular commercial door maintenance that’ll do exactly that. give us a call today at 888-855-6257. When you find yourself locked out of your safe, call Great Lakes Security Hardware Roseville. Our Roseville lockout specialist are highly trained in all lockout emergencies, including opening locked safes. Contact Great Lakes Security Hardware and we’ll dispatch a Roseville lockout specialist to handle your emergency. They will get into your safe within minutes. Call us today at 888-855-6257. Do you want to replace your lock after a theft or did you break your lock somehow? Call Great Lakes security Hardware. We are always here to take care of all your locksmith issues. Call us at 888-855-6257 or fill out our contact form to get a FREE QUOTE.